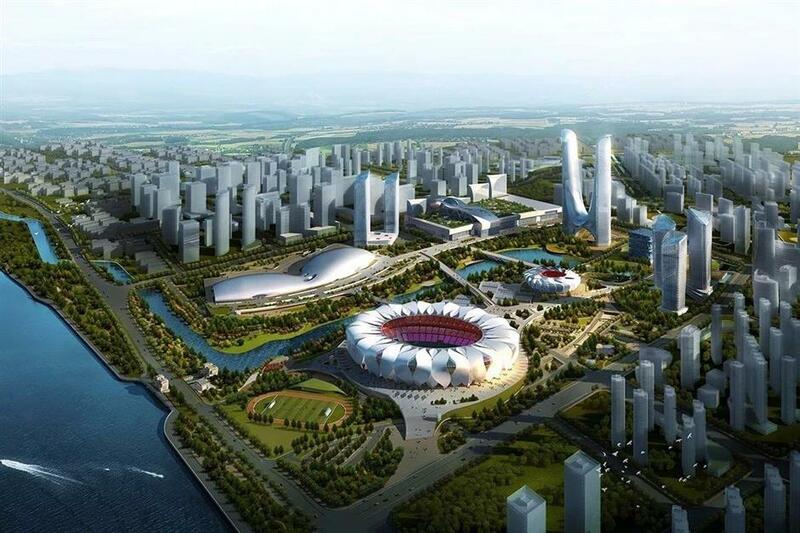 The 2022 Asian Games Village will be established in Hangzhou’s Qiangjiang Century City on the south bank of the Qiantang River, 18 kilometers from the Xiaoshan International Airport and 10 kilometers from the Hangzhou East Railway Station. Covering 113 hectares, the village is able to accommodate more than 10,000 athletes and officials, around 5,000 media staffers and almost 4,000 referees. There will be a Flag Plaza, a 5,500-seat athlete’s canteen, a training and recovery center and recreational facilities. Construction of the village is expected to start in June and will be finished at the end of 2021. It is scheduled to open for trial operation in March 2022, six months ahead of the kickoff of the event. 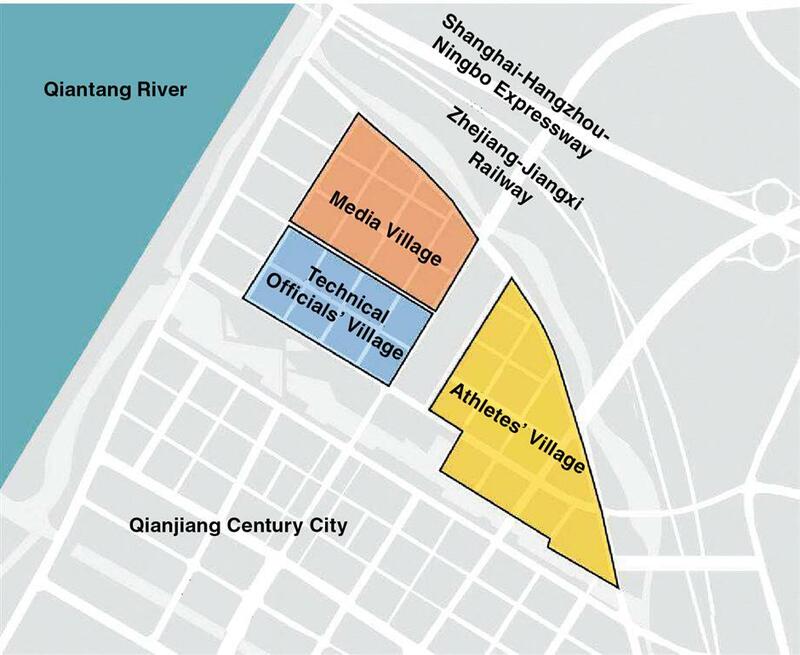 “The village will become an international community after the Asian Games, so we have taken into account requirements of environmental sustainability,” said Yan Xiaoying, deputy chief of the Venues Department of the Hangzhou Asian Games Organizing Committee. He further disclosed that all residential buildings will be required to meet three-star rating, which is the highest standard in the national evaluation system for green buildings. Eco-friendly construction materials and clean energy will be used. The quality of drinking water and air, the sound and light environment will all be considered to ensure that the residents stay healthy and comfortable. Apart from being greener, the village will also be smarter. Facial recognition, unmanned restaurants and convenience stores, virtual reality and holography will be introduced. You will even see autonomous cars driving in the streets of the village. The construction of the village is also in tune with the city’s latest urbanization strategy to develop areas along the banks of 235-kilometer Qiantang River. While the old town is basically centered around the West Lake north of the river, the place where the village is located — the Qianjiang Century City — will be developed into a new city center together with Qianjiang New City on the south bank. “We have to think about not only requirements of such an international sports games, but also requirements of the city development. The construction of the village will bring along investment on public amenities and infrastructure in neighboring areas,” said Huang Hu, deputy director of Hangzhou Urban Planning Bureau. It is told that construction of roads, public transportation including two subway lines, green belts and other public facilities will be launched at the same time. Hospitals and schools are also on the agenda. In 2015, Hangzhou won the bid to host the 19th Asian Games in 2022 and therefore becomes the third city in China to host such an event after Beijing (1990) and Guangzhou (2010).